This is a fun charm year round, but especially for St. Patrick's Day. The "Kiss Me I'm Irish" charm is a silver colored metal charm with green enamel filled words and shamrock. 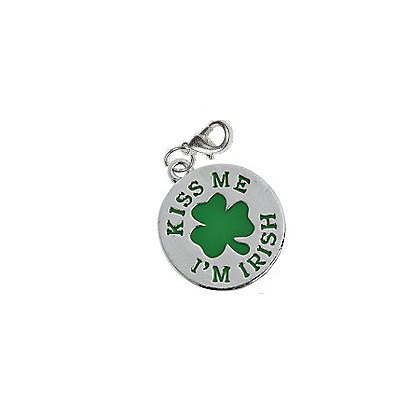 The Kiss Me I'm Irish show charm is 0.90" tall.